Felines have been with us for thousands of years, and it is hard to imagine a world without them. While humans first domesticated cats for mice-hunting purposes, very quickly, a strong feline-human bond occurred, and now, a few thousand years later, millions of households across the world have a cat companion. In some countries, the cat is even considered as a sacred animal, with Egypt and Japan being the perfect examples. With hundreds of natural and manmade breeds, it is hard to pick out the best, and it all depends on your personal preference. Still, one of the most interesting and controversial breeds is the Colorpoint Shorthair. Is it officially recognized as a breed and what can you expect from it? Let’s find out. How much does a Colorpoint Shorthair Cat cost? While a Colorpoint Shorthair might look somewhat different than its sibling, the Siamese cat, it is one of the most talkative breeds out there. A Colorpoint will have no problem telling you what they are unsatisfied about, and they are huge attention seekers. Apart from the fact that these cats are highly intelligent and social, they behave very well around children and are pretty emotional when it comes to certain situations. Given all their traits, you can expect to have the perfect companion that is not afraid to show its funny, affectionate side. For those of you that don't know how Colorpoint Shorthair cats came to be, it was a result of a Siamese cat breeding process. During the 1940s, the American breeders were trying to achieve a pointed Siamese cat by mixing it with an Abyssinian and an American Shorthair cat. Unfortunately, they were not that successful, as certain physical traits of the Siamese cat had to be sacrificed in the process. The result is what we now call a Colorpoint Shorthair. While the breeders themselves were not satisfied, other people grew pretty fond of the given result, and soon the Colorpoint Shorthair became widely popular. With almost all the same features as a Siamese cat and some traits of the red American Shorthair cat, it was first recognized by CFA back in 1964. 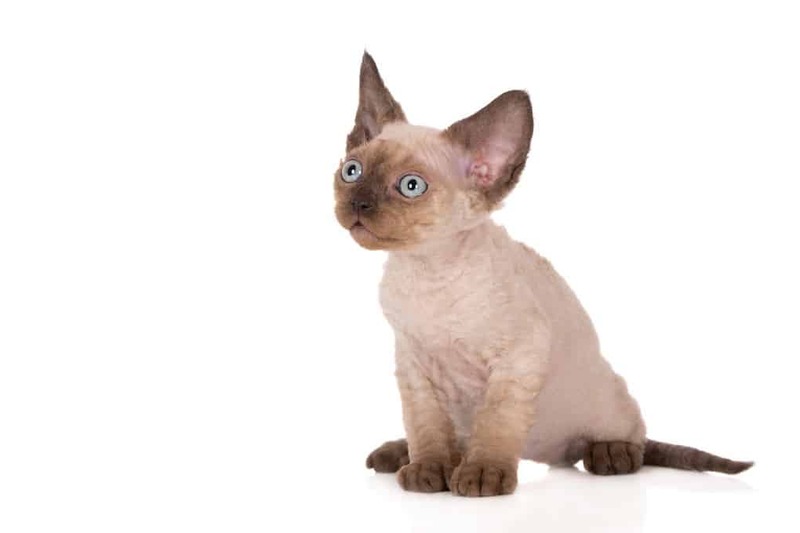 While certain organizations still don’t recognize it as a breed, given it is a hybrid of the Siamese, Abyssinian, and American Shorthair, it is still widely popular, and people all over the world love its looks. 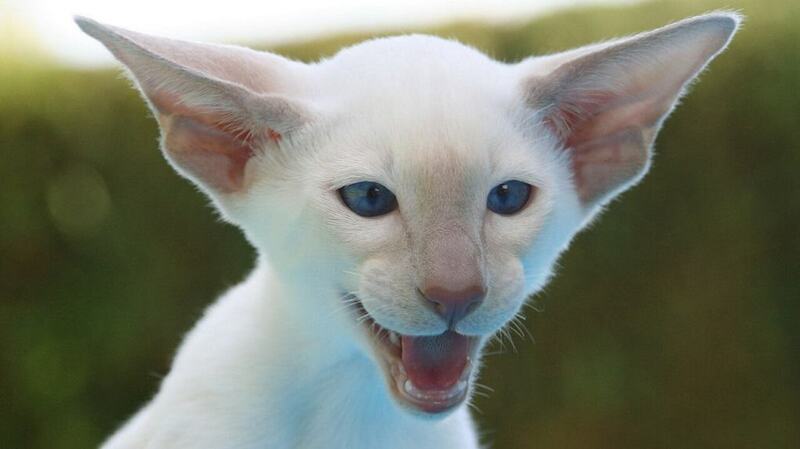 As mentioned above, a Colorpoint Shorthair looks quite similar to its Siamese sibling. In fact, it has the same wedge-shaped face and beautiful blue eyes that contribute to its regal looks. Apart from that, the ears have an interesting shape, being wide at the bottom and narrowing to the top, creating the perfect wide triangular look that complements its face. Similar to a Siamese cat, it comes with a slim body, with back legs being somewhat longer than the front ones, providing the elegant look many seek out. A Colorpoint Shorthair is somewhat smaller than an average cat and weighs anywhere between 6 to 10 pounds. Unlike other breeds which require much more grooming attention, this Siamese hybrid is going to be fine with one session per month given its short and silky hair. As mentioned above, one of the main differences between a Colorpoint and a Siamese cat is the colors. A Colorpoint Shorthair comes in 16 different colors with the most common ones being red, cream, seal, chocolate, lilac, and blue. Apart from that, there are two types of patterns recognized in a Colorpoint Shorthair breed – tabby and point. Given regular pet care, a Colorpoint Shorthair will not require much more than a few brushing sessions each month, and occasional baths. You shouldn't forget to regularly trim their nails, clean their ears, as well as the corner of their eyes with a damp cloth. Although a Colorpoint has a lot of energy, it is recommended that you invest in indoor or backyard toys and spaces, as letting them roam outside of your property might be risky. While Colorpoints can live anywhere between 12 and 18 years, they can still develop a number of medical conditions, of which some are hereditary. One of the most common conditions is the liver disease called amyloidosis and it is one of the traits that Colorpoints have inherited from Siamese cats. Apart from that, crossed eyes might occur as a sign of inbreeding, and Colorpoint Shorthairs might develop certain breathing problems like asthma and bronchitis. Colorpoint Shorthairs can also have eye problems, with nystagmus (neurological) and retinal atrophy being the most common out of all. 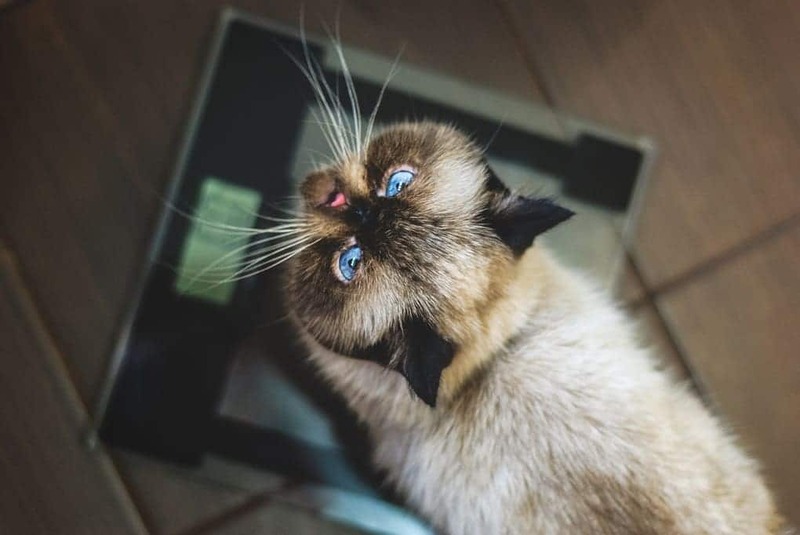 Still, with proper nutrition and care, as well as on-time screenings and a provided health guarantee from the breeder, you should ensure your cat a long, healthy life. While WCF and CFA are the only two organizations that recognize Colorpoint Shorthair cats as a breed, getting one is not that hard. You can either look for breeders in your area that provide a health guarantee and proof of performed genetic screenings, or try and find one in your local shelter. Adopting a cat is always better than buying and it is one of the best things you can do to contribute to fewer strays while also spreading awareness about abandoned animals. The price will vary depending on the area where you live. In the US, the average price ranges from $500 to $800, while adopting a kitten will cost you about ten times less. The reason Colorpoints are priced at that range is that they are so similar to the high-valued Siamese cats, with a better variety of colors of fur. Whether you decide to adopt or to buy a Colorpoint Shorthair, there are a few things you need to consider. Firstly, its color should fall in the category of one of the recognized 16 colors, of which blue, red, fawn, and cream are the most popular ones. Apart from that, the two officially recognized patterns are tabby and point – any other variation is not accepted as Colorpoint Shorthair cat. A Colorpoint Shorthair should have a wedge-shaped face and blue almond-shaped eyes. It should also have an elegant look, accompanied by long hind legs. A Colorpoint Shorthair should have a slim neck and a firm chin. Recognizing a Colorpoint Shorthair is not hard, and the above-mentioned traits will be more than enough to come up with a verdict. While a Colorpoint Shorthair might seem like a great choice, especially if you are a fan of Siamese cat looks, there are still a few things you should consider given the potential responsibilities. First, due to its history, a Colorpoint cat is prone to a number of health issues, and that is why you will need to provide the best possible nutrition and attention. Apart from that, it is considered a highly active breed and you should challenge them on a daily basis, mentally and physically. You should know that Colorpoint cats are quite talkative, so if you aren't ready for it, or you are scared that it might disrupt your baby’s sleep pattern, it would be wise to rethink your decision. And while they don't require a lot of grooming attention, you still need to perform all the hygiene tasks that owning a normal cat asks for, such as nail trimming, ear cleaning, brushing, etc. As we have mentioned above, a Colorpoint Shorthair might be the perfect choice if you have children around, as this breed is friendly and affectionate, while your kids will be able to provide it with loads of playtime. While the breed itself is playful you should know that they are highly intelligent and will not put up with everything you say. That is why you need to be strict with your demands on one hand and provide them enough attention on the other because if you don't do that, they will force it on you. In fact, a Colorpoint cat is somewhat similar to a dog as they love fetching things and playing with sticks and balls. Apart from that, they are going to follow you around and be a great companion. Still, due to the fact that these cats are highly affectionate and emotional, you shouldn't buy or adopt them only to leave them alone in the house the whole day. These cats are very social and require daily challenges and attention. While a Colorpoint Shorthair may get on well with a dog or other pet, it should still be introduced carefully and in controlled circumstances. As you already know, a Colorpoint Shorthair is the result of mix breeding between a Siamese cat, an American Shorthair (red), as well as the Abyssinian Cat. While it mostly resembles a Siamese cat, there are still different types inside of this breed that vary depending on the color and pattern. The two pattern groups are point and tabby, while a Colorpoint cat can come in 16 recognized colors of which red, blue point, cream point, cinnamon point, lynx point, chocolate point, and a lilac point are the most popular ones. Given its physical traits this cat is almost identical to a Siamese cat, and there is no doubt why, due to the fact that it is a result of mix breeding. Apart from that, it has certain traits of an Abyssinian cat, with its personality mostly resembles a Siamese cat, as well as a Somali Cat. If you are looking for a cat breed that comes in a variety of colors and looks similar to the Siamese breed, a Colorpoint Shorthair might be your best choice. These cats are highly intelligent, alert, friendly, and affectionate, and they will be a great feline companion for you and your family.